Developers today are accepting the benefits of an In-app referral program to grow their app, however often face a few challenges when it comes to implementing it perfectly. While a lot of hurdles can be resolved by analyzing data around an In-app referral program, a few challenges fall outside the purview of analytics. For example a developer can always have an access to the number of clicks on a referral link, or the number of app installs that originated through such campaign but may not know the reasons that triggered this interaction in the first place. The answers to such questions can only be found in the mind of a user. How Understanding Of User Psychology Benefit A Developer While Running In-App Referral Program? Though, there may be discerning viewpoints, but the absence of thorough knowledge around a user’s psychology may pose numerous challenges to an app marketer while running an In-app referral program. In a time when competition is knocking on the door of your user, not knowing enough about them can be a big risk, even if that involves getting into their mind! Having enough knowledge of user psychology and how it affects a user’s mind can help developers in not only improvising an app referral program, but also in thoroughly visualizing a user’s requirement. This eventually leads to a more robust in-app referral campaign. Word-of-mouth marketing is both simple and complex, and it plays with a user’s psychology at various levels. For some, it may induce a sense of being valued and for others it may touch another dimension. Through the psychological theories listed below, let’s explore more about our users and what makes them click, recommend or participate In an app referral program. While doing so, let’s also find answers to a few questions that arise in a developers mind. Most developers are clueless when it comes to deciding the right time for inviting a user in a referral program. There are various faces of ‘trust’ for an app user and once a user is satisfied he/she may not shy away from spreading word-of-mouth around your app’s referral program. This is based on the theory of credibility which states that people are more likely to be persuaded if the person (in this case an app) is credible, expert or trustworthy. An overall engaging and relevant experience with an app builds a sense of credibility and trust in a user’s heart. Let’s understand this better with an example. Imagine the state of mind of a user who is trying to use an e-commerce app for the first time. Though the user may be excited at the prospect of buying, he may be hesitant to share the credit card details in the absence of sufficient experience or trust. Pushing your app referral program to a user may not do anything for an app developer or marketer at this stage. Takeaway for app developers: Keeping this theory in mind a developer should wait to involve a user in an app referral program till the user is satisfied with the app. This can be done by filtering the usage pattern for every registered user and inviting the one’s who have crossed a particular benchmark. Going by the theory of credibility, this approach will bring in more loyal and long term users for your app referral program. What may be the reason behind UBER’s app referral program being popular amongst the masses? From a marketer’s point of view, it is the rewards (free rides) associated with it, that do the trick. Ideally, once a user has enjoyed his free ride, he should opt out of referring more users. But that doesn’t happen often? Does it? Such decisions are influenced by the principle of reciprocity as proposed by Dennis Regan. Simply put, the theory states that an individual is bound to return a favor /give back something that is received, more than often. Hence even when the new user has gained out of it, they continue to spread word-of-mouth around the app referral program. Takeaway for app developers: While reciprocity ensure a great word-of-mouth, app developers can also use periodic discounts, flash sales or even exclusive offers to induce the feeling of a favor in the mind of the user. It is often observed that this tactic ensures a higher participation by users in an app referral program. 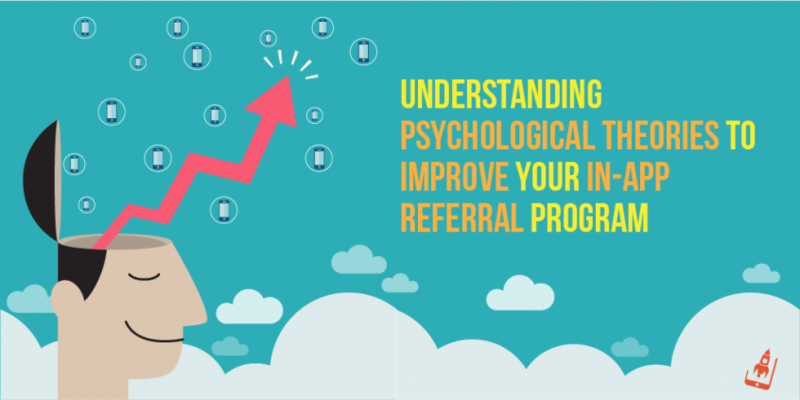 The foot in door method clears the dust on the importance of sustained interactions (read promotions) and the role it plays on the user’s psyche while considering an In-app referral program. According to this method, the more frequently the customer interacts with your promotional content the more likely they are to comply with larger requests like inviting friends to participate in an app referral program or make in-app purchases. Takeaway for app developers: To make the most from an app referral program, a developer should continually promote it through newsletters, push notifications, SMS, etc. Before a user chooses to spread a word around an app referral program it weighs it at various levels. One of which is influenced by the loss or gain theory or the Prospect Theory. This theory states that people react to a situation differently depending on whether they see a loss or gain in it. This theory is significantly influenced, by the way a message is ‘packaged’ before it is stated to the user. For example, an In-app referral campaign that showcases the positives of the program is more likely to be accepted by the user. For a few it may be a task to compose a personal message. This limits the reach of word of mouth within their network. Considering that NO word is going out with a referral link, prospective users don’t see a GAIN in it. By making a small change in the way people share your message can make an enormous impact on your app referrals. This can be done by providing the most positive content copy to the users that can be used with their referral links, while promoting it. This will help developers to spread the idea much faster without much effort. Just like any other marketing technique, an In-app referral program may lose its charm after its initial launch. This decline can be attributed to either low promotions (discussed above) or other such factors. In such scenarios, an app referral program can be revived by inducing the theory of conformity put forth by Solomon Asch. This theory states that an individual is bound to use a product if he/she sees more people using it. It is often perceived, that users tend to buy a product or participate in a program under social influence or when others around them are doing so. 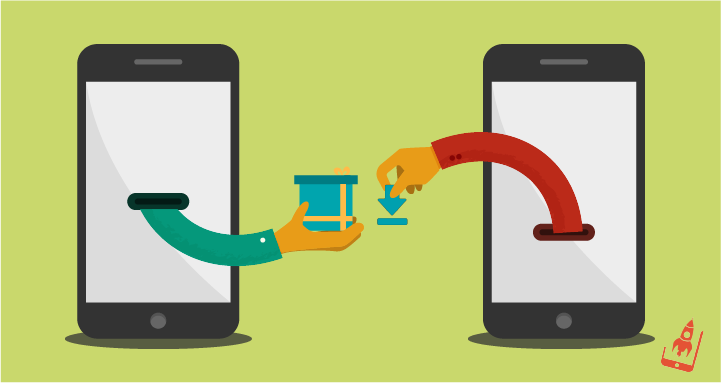 Takeaway for app developers: If your app referral program is often talked about, there are higher chances that more users will participate in without even realizing it! But how does a developer ensure that this continues to happen? The best way to do this in today’s time is by tapping influencers who can stir conversations around this program without spending much money. There’s no better choice of an influencer than a user who has referred your referral program the most. This data crunching may take a while or could be made simple by using simple products like AppVirality, which can instantly filter influencers for your app referral program. All in all reaching out to such users may infuse new life in your declining app referral program. Which psychological theory can you use as a base to improvise your app referral program?Are there others that should be included here? I will be more than happy to know your views on this topic.